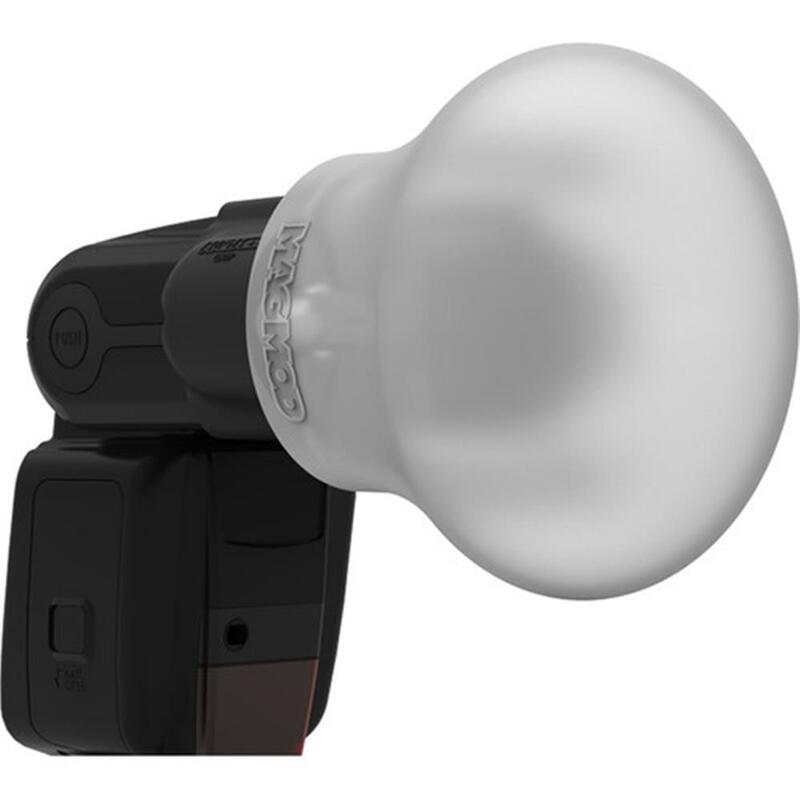 The MagSphere is a beautiful omni-directional flash diffuser that gives you the the best looking light possible. With efficient diffusion that saves battery power and an integrated gel slot that allows you to color correct your flash.250% better than your bare flash. It increases the size of your light-emitting surface by over 250% for a softer glow over a bigger area. Made from a solid piece of durable rubber, the MagSphere folds to fit in any bag. When you're ready to use it, just pop it back into its original form. And with the power of two "rare-earth" neodymium magnets keeping it secure, it's pretty darn tough to knock loose. 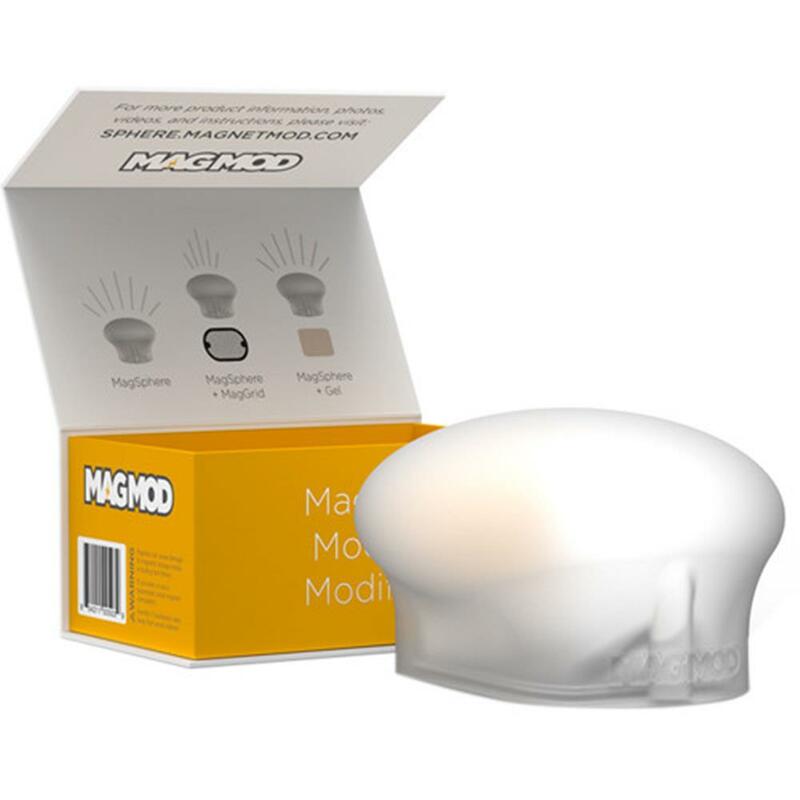 Use the MagSphere as a main light or bounce modifier - it's the most versatile diffuser ever. As a bounce modifier, it efficiently projects light towards your subject through side walls to add additional fill light and round catchlights in their eyes. 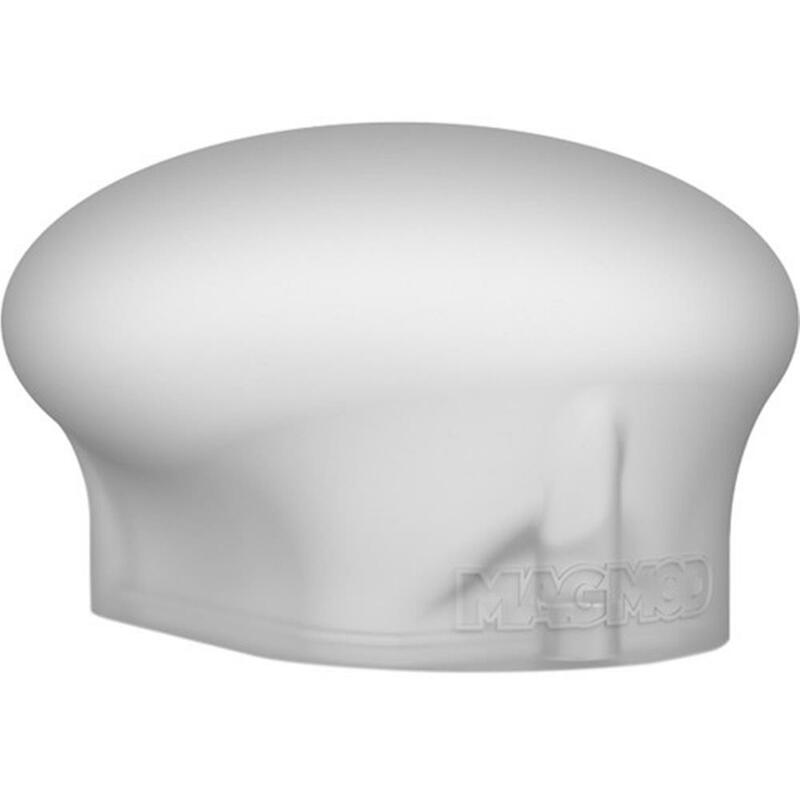 The MagSphere's integrated gel slot allows for up to 2 of our polycarbonate MagGel filters to be inserted without the need for additional accessories or modifiers. No other flash diffuser is as practical or versatile when it comes to adding gels. With its semi-transparent material, the MagSphere diffuses light beautifully - but much more efficiently than other traditional flash diffusers. You'll lose less than one stop of light, versus 2-4x times the amount of light loss from other modifiers. Since your flash doesn't have to work as hard to pass through the MagSphere's semi-transparent silicone material, you don't have to crank it up as far as you used to. Now you can shoot longer while conserving battery power that used to get sucked up by other flash diffusers. Make your flash work for you, not against you. The MagSphere is more than just a diffuser. Like the rest of our magnetic modular gear, it can be combined with other MagMod modifiers for the ultimate in modular, multi-purpose awesomeness.